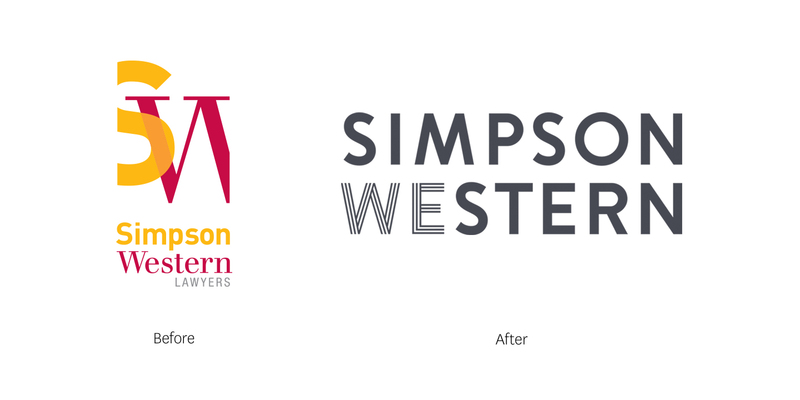 This week’s Fresh from the Field features the new identity work for Simpson Western by the team at Dow. 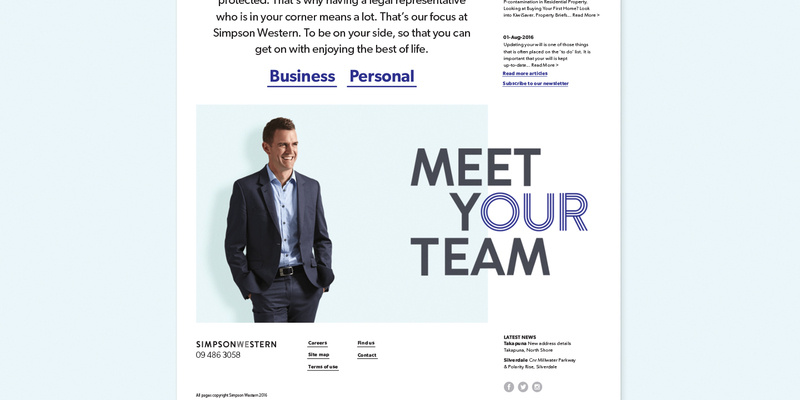 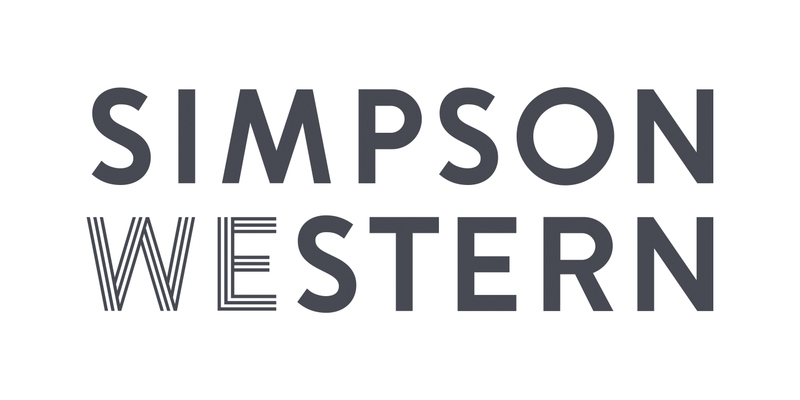 Simpson Western, a full-service law firm on the North Shore, really disliked their identity. 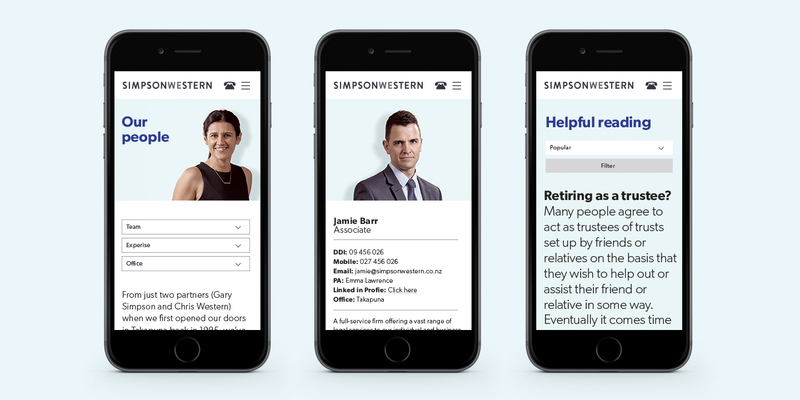 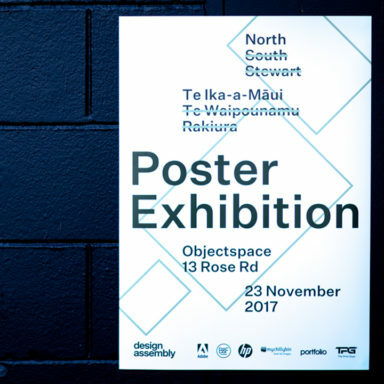 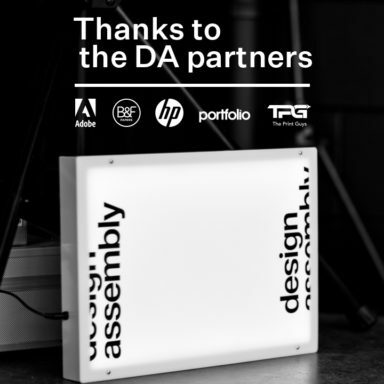 Their firm had grown in size and in the scope of their services, and they wanted an identity that would better reflect their skills and what makes them unique as they competed for business against full service law firms in the CBD. 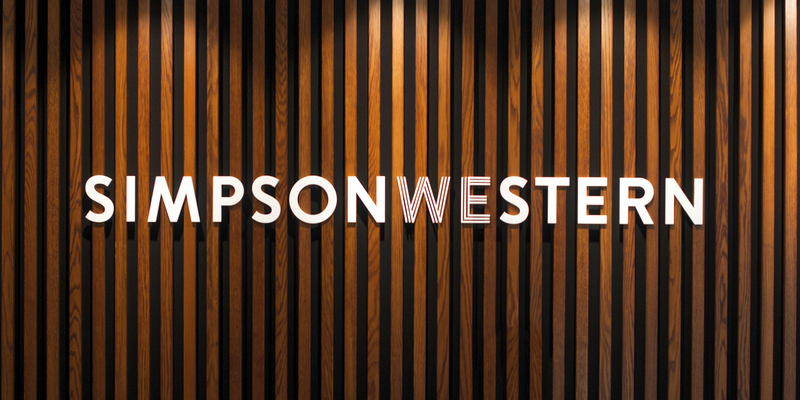 We gave them an elegant and sophisticated identity that would be timeless. 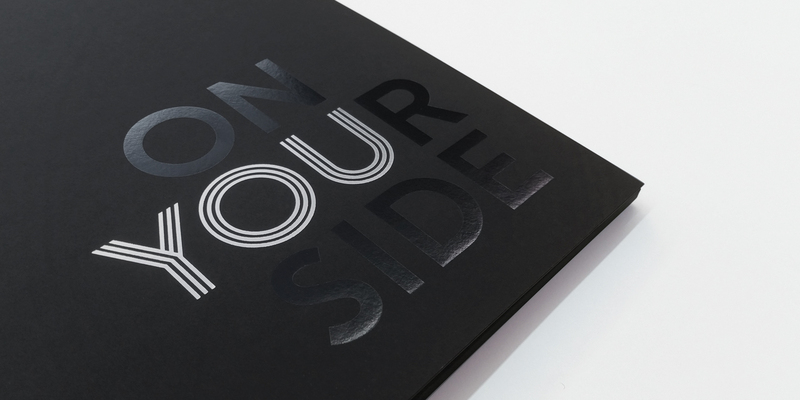 Their story, ‘On your side’ was a play to their very important local clients — on the North Shore — and also a demonstration of their advocacy for their clients’ best interests. 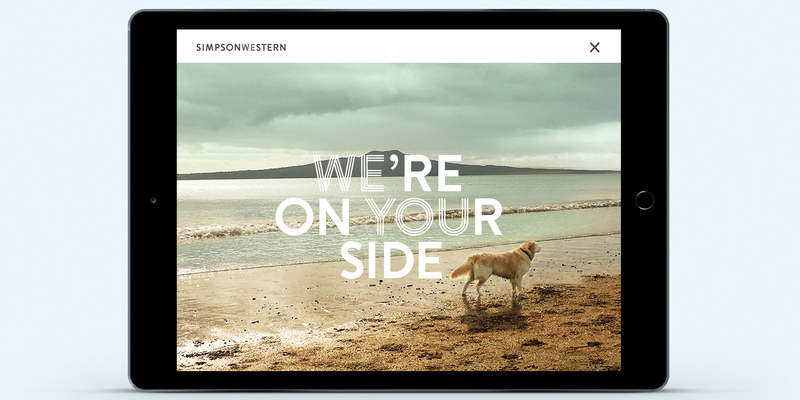 The North Shore beach feel was a key part of the secondary brand language. 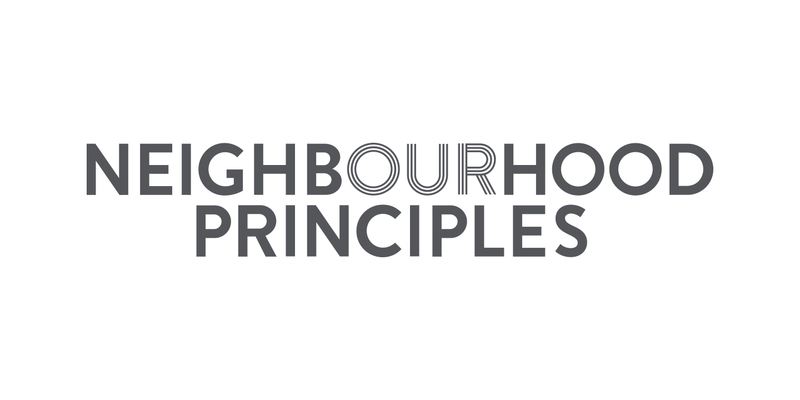 It sets up their neighbourhood approach and their love of the locale.